High magnification micrograph of a pheochromocytoma, showing the nested arrangement of cells (Zellballen) and stippled chromatin. H&E stain. Pheochromocytoma (PCC) is a neuroendocrine tumor of the medulla of the adrenal glands (originating in the chromaffin cells), or extra-adrenal chromaffin tissue that failed to involute after birth, that secretes high amounts of catecholamines, mostly norepinephrine, plus epinephrine to a lesser extent. Extra-adrenal paragangliomas (often described as extra-adrenal pheochromocytomas) are closely related, though less common, tumors that originate in the ganglia of the sympathetic nervous system and are named based upon the primary anatomical site of origin. The term is from the Greek phaios (dark), chroma (color), kytos (cell), and -oma (tumor). A pheochromocytoma can also cause resistant arterial hypertension. A pheochromocytoma can be fatal if it causes a hypertensive emergency, that is, severely high blood pressure that impairs one or more organ systems (formerly called "malignant hypertension"). This hypertension is not well controlled with standard blood pressure medications. Pheochromocytoma crisis is a rare and potentially lifethreatening emergency. It can occur spontaneously or be precipitated by administration of pharmacological agents, tumor manipulation, micturition (urinary bladder pheochromocytoma), or foods that aggravate release of catecholamines by the tumor. Histopathology of adrenal pheochromocytoma. Adrenectomy specimen. The diagnosis can be established by measuring catecholamines and metanephrines in plasma (blood) or through a 24-hour urine collection. Care should be taken to rule out other causes of adrenergic (adrenaline-like) excess like hypoglycemia, stress, exercise, and drugs affecting the catecholamines like stimulants, methyldopa, dopamine agonists, or ganglion blocking antihypertensives. Various foodstuffs (e.g. coffee, tea, bananas, chocolate, cocoa, citrus fruits, and vanilla) can also affect the levels of urinary metanephrine and VMA (vanillylmandelic acid). Imaging by computed tomography or a T2 weighted MRI of the head, neck, and chest, and abdomen can help localize the tumor. Tumors can also be located using an MIBG scan, which is scintigraphy using iodine-123-marked metaiodobenzylguanidine. Even finer localization can be obtained in certain PET scan centers using PET-CT or PET-MRI with [18F] fluorodopamine or FDOPA. One diagnostic test used in the past for a pheochromocytoma is to administer clonidine, a centrally-acting alpha-2 agonist used to treat high blood pressure. Clonidine mimics catecholamines in the brain, causing it to reduce the activity of the sympathetic nerves controlling the adrenal medulla. A healthy adrenal medulla will respond to the clonidine suppression test by reducing catecholamine production; the lack of a response is evidence of pheochromocytoma. Chromogranin A is elevated in case of pheochromocytoma. Either surgical option requires prior treatment with the non-specific and irreversible alpha adrenoceptor blocker phenoxybenzamine or a short acting alpha antagonist (e.g. prazosin, terazosin, or doxazosin). Doing so permits the surgery to proceed while minimizing the likelihood of severe intraoperative hypertension (as might occur when the tumor is manipulated). Some authorities would recommend that a combined alpha/beta blocker such as labetalol also be given in order to slow the heart rate. Regardless, a nonselective beta-adrenergic receptor blocker such as propranolol must never be used, without adequate alpha blockade, in the presence of a pheochromocytoma. The mechanism for β-adrenoceptor blocker-associated adverse events is generally ascribed to inhibition of β2-adrenoceptor-mediated vasodilatation, leaving α1-adrenoceptor-mediated vasoconstrictor responses to catecholamines unopposed and, thus, severe and potentially refractory hypertension. However some clinical guidelines permit beta-1 blockade use together with alpha blockers during surgery for control of tachycardia. The patient with pheochromocytoma is invariably volume depleted. In other words, the chronically elevated adrenergic state characteristic of an untreated pheochromocytoma leads to near-total inhibition of renin-angiotensin activity, resulting in excessive fluid loss in the urine and thus reduced blood volume. Hence, once the pheochromocytoma has been resected, thereby removing the major source of circulating catecholamines, a situation arises where there is both very low sympathetic activity and volume depletion. This can result in profound hypotension. Therefore, it is usually advised to "salt load" pheochromocytoma patients before their surgery. This may consist of simple interventions such as consumption of high salt food pre-operatively, direct salt replacement or through the administration of intravenous saline solution. There is increased life-time risk of secondary cancers (relative risk 3.63), with a slightly increased mortality risk (1.21) according to a 2004 Swedish study of 481 patients. 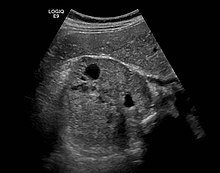 Pheochromocytoma is seen in between two and eight in 1,000,000, with approximately 1000 cases diagnosed in United States yearly. It mostly occurs in young or middle age adults, though it presents earlier in hereditary cases. In 1886, Felix Fränkel made the first description of a patient with pheochromocytoma. The term "pheochromocytoma" was first coined by Ludwig Pick, a pathologist, in 1912. In 1926, César Roux (in Switzerland) and Charles Horace Mayo (in the U.S.A.) were the first surgeons to successfully remove pheochromocytomas. In the 1970s, Greene and Tischler derived a line of cells, called the PC12 cell line, from a rat pheochromocytoma. ^ Boulpaep, Emile L.; Boron, Walter F. (2003). Medical physiology: a cellular and molecular approach. Philadelphia: Saunders. p. 1065. ISBN 978-0-7216-3256-8. ^ Sweeney, Ann T; Griffing, George T (August 2, 2011). "Pheochromocytoma". eMedicine. Archived from the original on May 4, 2011. ^ "Pheochromocytoma: Symptoms, Treatment, Diagnosis, Test". medicinenet.com. Archived from the original on 16 July 2017. Retrieved 4 May 2018. ^ Diouf, B.; Fary Ka, E. H.; Calender, A.; Giraud, S.; Diop, T. M. (2000). "Association of medullary sponge kidney disease and multiple endocrine neoplasia type IIA due to RET gene mutation: is there a causal relationship?". Nephrology Dialysis Transplantation. 15 (12): 2062–3. doi:10.1093/ndt/15.12.2062. ^ "Catecholamines – urine – Penn State Hershey Medical Center". Pennstatehershey.adam.com. 2011-01-06. Archived from the original on 2013-12-03. Retrieved 2013-02-23. ^ "6-[18F]Fluorodopamine Positron Emission Tomographic (PET) Scanning for Diagnostic Localization of Pheochromocytoma". Hypertension. Hyper.ahajournals.org. 38 (1): 6–8. July 2001. doi:10.1161/01.HYP.38.1.6. ^ Cotesta, D; Caliumi, C; Alò, P; Petramala, L; Reale, MG; Masciangelo, R; Signore, A; Cianci, R; et al. (2005). "High plasma levels of human chromogranin A and adrenomedullin in patients with pheochromocytoma". Tumori. 91 (1): 53–8. PMID 15850005. ^ Giannini, A. James; Black, Henry R.; Goettsche, Roger L. (1978). Psychiatric, Psychogenic and Somatopsychic Disorders Handbook. Garden City, NY: Medical Examination. pp. 213–4. ISBN 978-0-87488-596-5. ^ Jaroszewski, D. E.; Tessier, D. J.; Schlinkert, R. T.; Grant, C. S.; Thompson, G. B.; Van Heerden, J. A.; Farley, D. R.; Smith, S. L.; Hinder, R. A. (2003). "Laparoscopic Adrenalectomy for Pheochromocytoma". Mayo Clinic Proceedings. 78 (12): 1501–4. doi:10.4065/78.12.1501. PMID 14661679. ^ Pacack, K. (2007). "Preoperative management of the pheochromocytoma patient". J Clin Endocrinol Metab. 92 (11): 4069–79. doi:10.1210/jc.2007-1720. PMID 17989126. ^ Khorram-Manesh, A.; Ahlman, H.; Nilsson, O.; Odén, A.; Jansson, S. (2004). "Mortality associated with pheochromocytoma in a large Swedish cohort". European Journal of Surgical Oncology. 30 (5): 556–559. doi:10.1016/j.ejso.2004.03.006. PMID 15135486. ^ Greene LA, Tischler AS; Tischler (1976). "Establishment of a noradrenergic clonal line of rat adrenal pheochromocytoma cells which respond to nerve growth factor". Proc. Natl. Acad. Sci. U.S.A. 73 (7): 2424–8. Bibcode:1976PNAS...73.2424G. doi:10.1073/pnas.73.7.2424. PMC 430592. PMID 1065897. Goldman, Lee (2011). Goldman's Cecil Medicine (24th ed.). Philadelphia: Elsevier Saunders. p. 1362. ISBN 978-1437727883. GeneReviews entry on "Hereditary Paraganglioma-Pheochromocytoma Syndromes"